1. Airalex specialise in small-scale models. 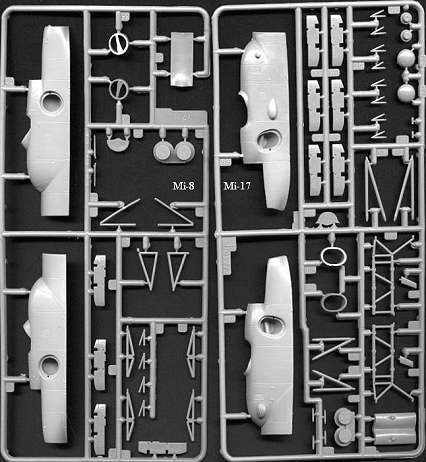 Among their own products are 1:144 resin kits of the AH-1G (Pandora's Box markings) and a USN SH-3A. 2. 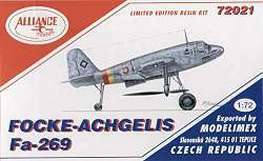 Alliance Models from the Czech Republic have produced a re-issue of the Czech Resins 1:72 Fa.269 'tilt-rotor', #72021. This comes with a sheet of decals. 3. 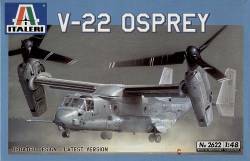 Italeri have released the "updated design - latest version" re-issue of their 1:48 V-22 Osprey. #2622. We have no further details of this as yet. 4. 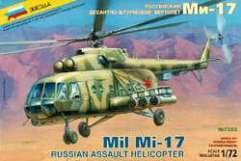 Zvezda have released the Mi-17 version of their 'Hip' kit, #7253. 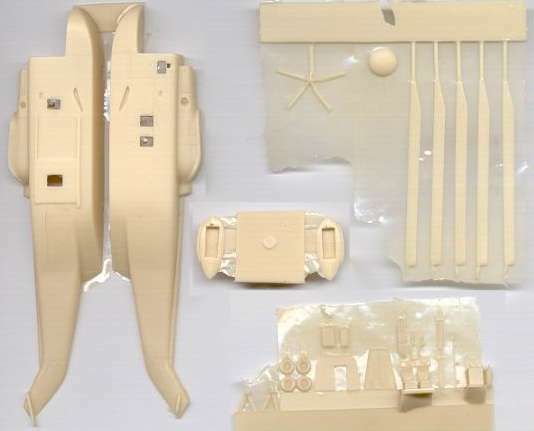 The plastic is identical to that in their previous Mi-8 kit except for one new sprue which carries the engine and gerbox cowlings, dust filters, and stores pylons. It is no suprise that the nose profile is still wrong, or that the UB8-20 FFAR pods still have wrong number of rocket tubes. The decal sheet has markings for yellow 23, which I am told was actually a Mi-8MT of the 262nd Sqn, at Bagram AFB, Afghanistan. It is identified by the flying dragon which should be applied to the armourplate on the port side only. ('Hot Sky of Afghanistan' p.85). 5. A test shot of the new Academy/MRC 1:35 'AH-60L DAP' shows that it is the same as the USAF Pave Hawk kit with a couple of additional sprues. The instrument panel has been reconfigured, there is a short version of the wing stub (ESSS, two 19 shot rocket pods, hellfire missiles, the nose radome and some of the external sensors. 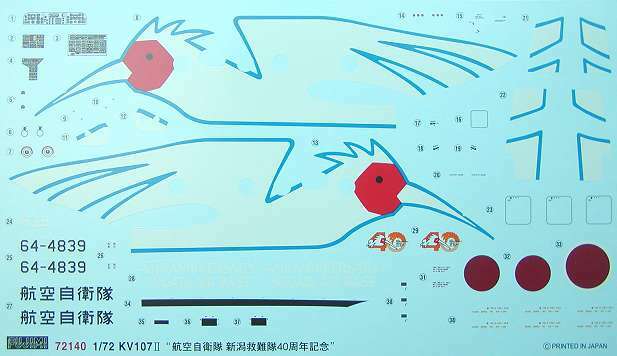 Also, 1:48 modern US helicopter crew figure sets - five sets (#Z48-1 to -5) as per the 1:35 sets above, proposed release dates the same. 7. 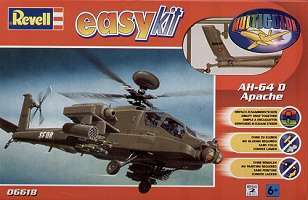 Revell have issued #6618 which is a pre-painted snap-kit of the AH-64D Longbow in 1:100 scale. 72136, JGSDF 101st Sqn "Naha Base Okinawa Markings". 72140, JASDF "Nigata Air Rescue 40th anniversary"
It's hard to give more details on the history of these since the instructions are printed only in Japanese, but as the boxart shows, they are all eye-catching paint & marking schemes. 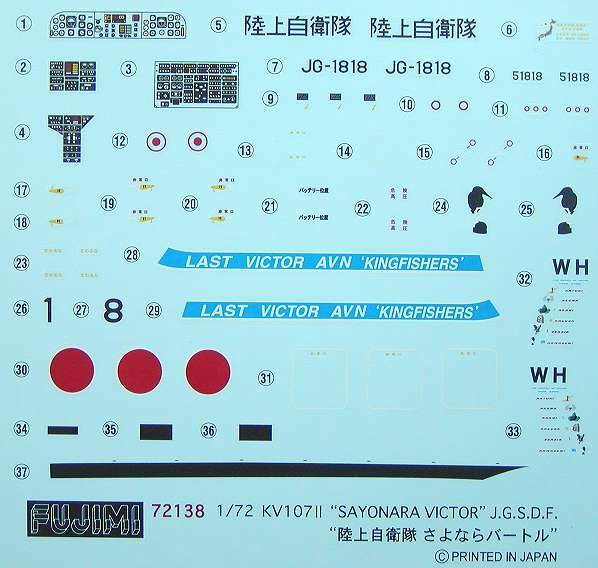 "Last Victor" should have a radome on the nose which is shown in the painting instructions but is not included in the kit. 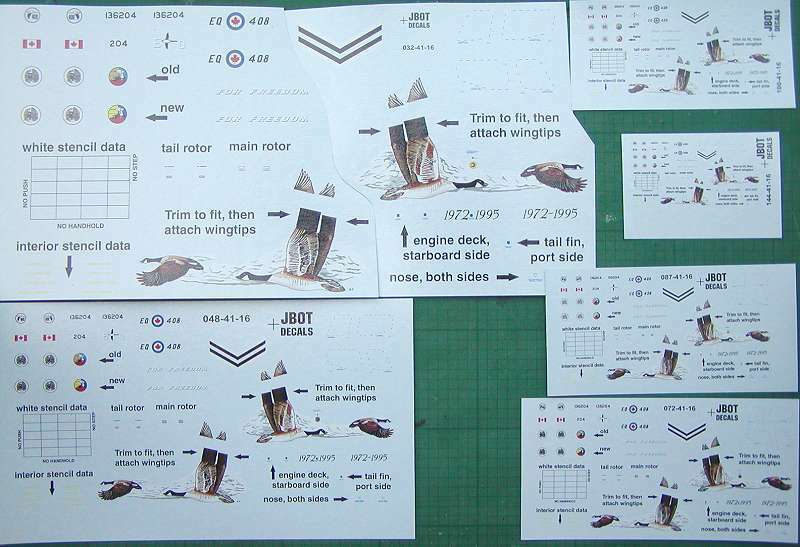 The three KV-107 kits have all-new decal sheets in their boxes, but the CH-46D kit contains the original sheet of markings for 'Hotel California' from USS White Plains and 'Mars Stars' from USS Mars, plus a small additional sheet of two tail pylon artworks for 'Hotel California'. The first of these, from 1978 shows a Japanese temple arch in front of Mt. Fuji, with the words 'Golden Arches Airlines'. 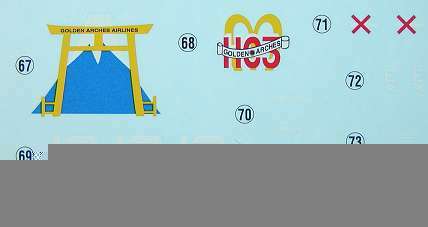 The second from 1979 is an 'M'-shaped arch with 'Golden Arches 1103' superimposed. The significance of the '1103' is not known. 9. 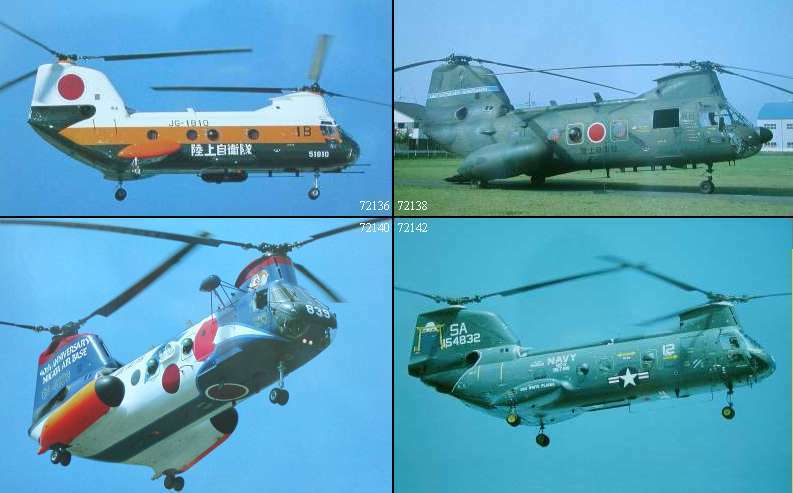 Flying Papas Decals are a Japanese company whose list shows a number of interesting and unusual schemes. Unfortunately these appear to be only available from Hobby Network in Japan, who do not accept export orders. The website has thumbnail images of many of the schemes covered. 10. Platz Hobby are another Japanese company who make decals and etched brass. 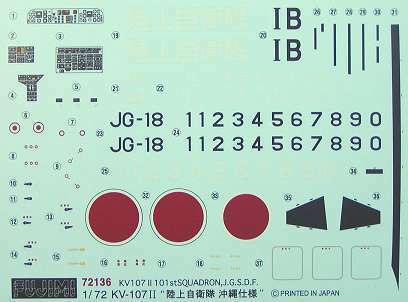 They have one decal sheet in their 'NBM21' series with a helicopter subject, #USD-1 'F/A-18 Golden Dragons 2000'. Inexplicably, along with the jets, this includes 1:72 markings for the USN S-51 / HO3S-1 featured in the film 'The Bridges at Toko-Ri'. Platz say that they hope to release more decals for helicopters in the future. 11. Tally-Ho! 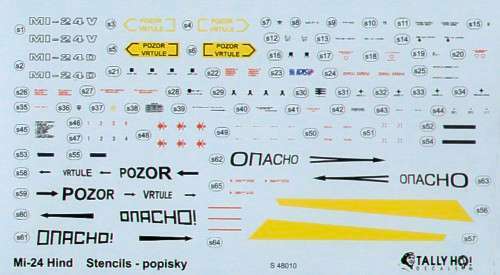 Decals have released a set of stencil markings for Czech Mi-24 Hinds. 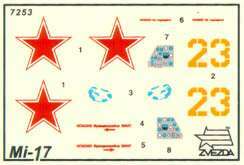 You get enough decals for two models, available in both 1:48 and 1:72 scales (#S72010 & #S48010). 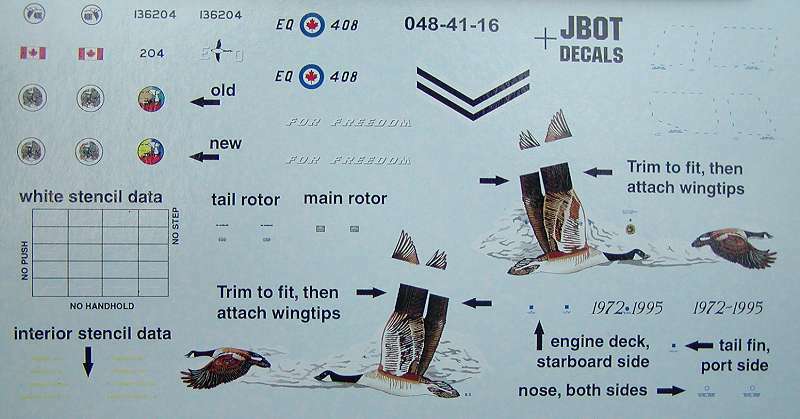 There is also another new JBOT Kiowa sheet available, this one being for the CAF 400 Sqn 60th anniversary scheme from 1999. 13. 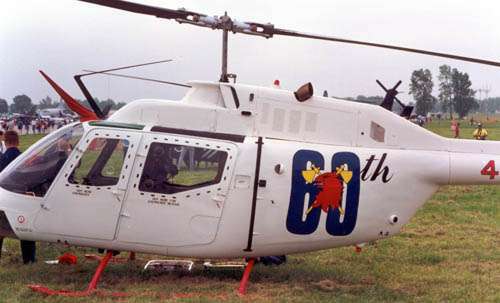 Among the new 'Operation Iraqi Freedom' decals promised by Twobobs Aviation Graphics will be markings for USN SH-60 Seahawks. 15. Latest from Wings & Wheels Publications is a volume covering the Westland Lynx. This has walkaround details of British Army and Dutch and German Naval versions. Thanks to Jaroslav Spacek, George Filyagin, Carrey Knight, Yevgeny Borissov, Chris Miller (Cobra Co.), Roberto Sanchez (Twobobs), and Andrey Kotkov.